Low-use break rooms or factory floors. Durable, natural-cork bulletin board secures documents with push pins. Delivers effective performance when communication is needed in low-use break rooms or on factory floors. Self-healing surface. Easily secure to wall with heavy-duty, factory-installed mounting system. Finished frame complements any interior. Available in a variety of sizes. 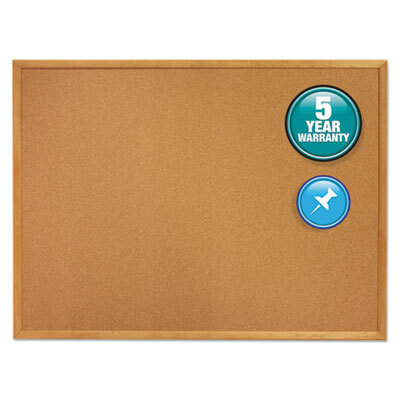 Board Type: Bulletin Board Width: 96"
Weight: 0.00 Manufacturer: QUARTET MFG.